Three Reasons You Should Vote In your Community Voting Events. 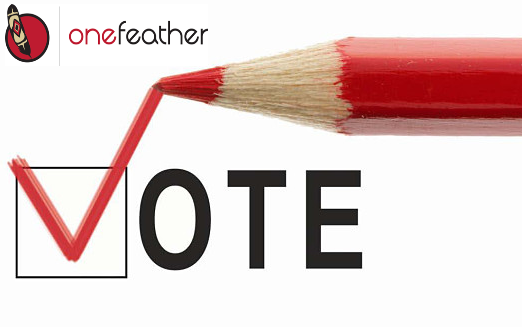 OneFeather dedicates itself to helping First Nations with informed decision-making processes through voting. We offers comprehensive, end-to-end voting management services that can be tailored to elections, referendums and ratifications. We offer direct essential and critical services that help First Nations become leaders in engagement, governance and important decision making, now and for generations to come. We have now worked with over 100 First Nation's across the country providing digital solutions to enhance member engagement, increased member participation in important governance and community decision-making. The following are reasons why you should vote in your community elections. Casting your vote on community voting events usually makes the most significant impact in our communities. We get to decide who we shall give power, not only to be a leader but to bring meaningful change in our communities. Voting gives all members a chance to voice their opinion and interests. Everywhere democracy is in retreat, fueled by fears from bad leaders who abuse power given to them by the people. Therefore, voting gives you a chance to make an impact through the power of a vote and to the righ candidate. Every voting event comes with vast information. Elections bring important issues out into the light of day. Even if we're not voting on something, everything becomes fair debate around election time. Members get an opportunity to research different candidates and learn about both sides of arguments. Information enables us to learn more about what the community needs and why it is important to vote. Afterwards we can make informed voting decisions, which will not only ensure that our interests are met but also have a positive impact on generations to come. Voting is our right and responsibility and everyone has the right to vote. Voting in any election is not just about supporting the candidates or amendments or referendums in that specific election, it is about supporting the idea. It is about believing that the will of the people is a driving and important factor in the success of our communities. And it is about supporting a peaceful and consistent transition of power. If you go out to the polls, it usually encourages or guilts those around you into doing the same. This chain reaction can increase voter turnout exponentially. That's why we ask you to consider voting in all of your upcoming community elections. We support and provide different ways to vote: Providing you with technologies to vote online, in- person voting and through mailed in packages....Whatever your electoral needs, we’ve got you covered! Contact us here to learn more on how we can help you or your community with upcoming voting events.